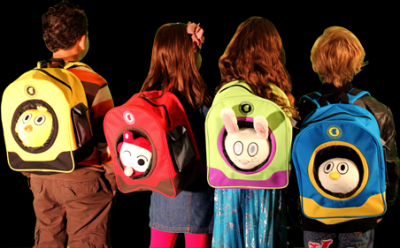 Patch Buddies are an adorable combination of a Plush Toy and a custom Backpack that has a built-in carrying case. There are ten playful animals and four unique characters in the Bubele's Patch Buddy collection and each has a unique personality that will provide endless hours of entertainment and comfort, at home or on the go. Safety is important to us and to your children. So we manufacture and produce our products with the highest quality materials, dedication to safety and especially designed to protect your little ones. To see our loveable and playful collection visit our website at http://patchbuddies.com/ or our facebook page. This is such a great opportunity for my family. I cannot wait to share my review with you! Please stay tuned. Until then make sure to take advantage of this great offer. Save 40% on ANY Buddy Bundle Purchase!